High tensile field fence combines the familiar hinge joint knot with high tensile steel making it stronger than traditional, low carbon field fence. Our high tensile field fence products are available in 12.5g and 14g, Class 3 galvanized for a longer life. The 14g high tensile field fence has a 12.5g top and bottom wire and is just as strong as a 12.5g low carbon field fence. 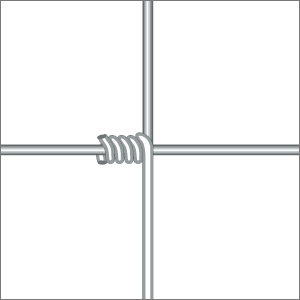 The 12.5g high tensile field fence has a 10.5g top and bottom wire and is stronger than 11g low carbon field fence. Both of these high tensile field fence options are more cost effective than using traditional low carbon field fence.